Offering your vanilla AOSP interface and bringing a ton of tweaks and enhancements to your Android smartphones, AICP is arguably one of the best custom ROMs. Now based on the very latest Android 6.0.1 Marshmallow, you can flash the custom firmware on your LG Nexus 4. Follow this guide for download links and steps to update Nexus 4 to Android 6.0.1 Marshmallow based AICP custom ROM. Verify the model number of your Nexus before proceeding. Required files: download Marshmallow custom ROM for Nexus 4 on your PC. Also download GApps for your device. Boot your Nexus 4 to Custom Recovery mode: press and hold Power, Volume Up and Volume Down button. Release them when you see the Bootloader or Fastboot menu. You will see the Start button on the screen, use Volume Up and Down until it changes to Recovery Mode. Press Power button to enter to Recovery mode. Select Backup and Restore to perform Nandroid Backup and then go back to main menu. Next, you must wipe data by selecting wipe data/factory reset. Also, wipe cache partition to perform cache wipe. Finally, Delvik Cache should also be wiped from Advanced > Wipe Delvik Cache. Now, select Install Zip from sdcard > choose zip from sdcard from the main recovery menu. 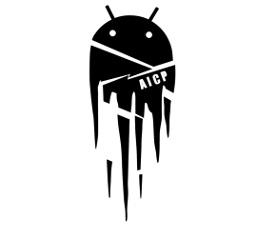 Locate the AICP Android 6.0.1 custom ROM. Select and confirm. When the AICP Android 6.0.1 custom ROM is flashed, use the same method to install GApps. After you are done, select reboot system now to perform a normal boot. It will take some time to load all files as this is the first boot after flashing. Enjoy Marshmallow on your LG Nexus 4 and don’t forget to share your experience with us.